By Zack Quaintance — Ohhhh, my stomach, I ate too much turkey and can’t write a proper intro for this Top Comics to Buy for November 28, 2018 piece. Just kidding. I’m actually writing this the night before Thanksgiving because I’ll be traveling tomorrow through Sunday, and likely won’t have any other time to complete it. Anyway, shifting gears...wake yourselves up from all that overeating, because there is (as always) another new wave of comics to discuss! This week sees the conclusion of some story arcs we’ve really enjoyed in 2018, from Black Panther to Come Into Me, both of which have so expertly built to these finales, that we can’t wait to see what happens. We heap just a bit more praise on the Bendis Superman run, which is one of our favorite things happening right now at DC, and we also get to talk yet again about some of our favorite indie gems. All in all, this post-holiday week stands to be a good one! Now, let’s get to those comics! T'Challa and the Maroons renew their war against the Empire. But N'Jadaka is watching - and he knows exactly how dangerous the Black Panther can be. Witness at last the rise of Emperor N'Jadaka and the Exalted Intergalactic Empire of Wakanda! Why It’s Cool: There’s a lot happening at Marvel right now, and as a result, Black Panther has flown a bit under the radar...even though it’s written by the winner of a National Book Award and carrying the same name as one of the highest-grossing superhero movies ever. This issue marks the conclusion of the relaunched comics’ best arc yet, at least under Ta-Nehisi Coates’ stewardship. Coates was a newcomer to comics when he started this run in early 2016, but he’s caught on fast. Simply put, this comic keeps getting better and better, and the scope of ideas in this first arc is nearly unmatched within mainstream superhero comics. Don’t miss it! The murderous mystery of the Red Cloud uncovered! 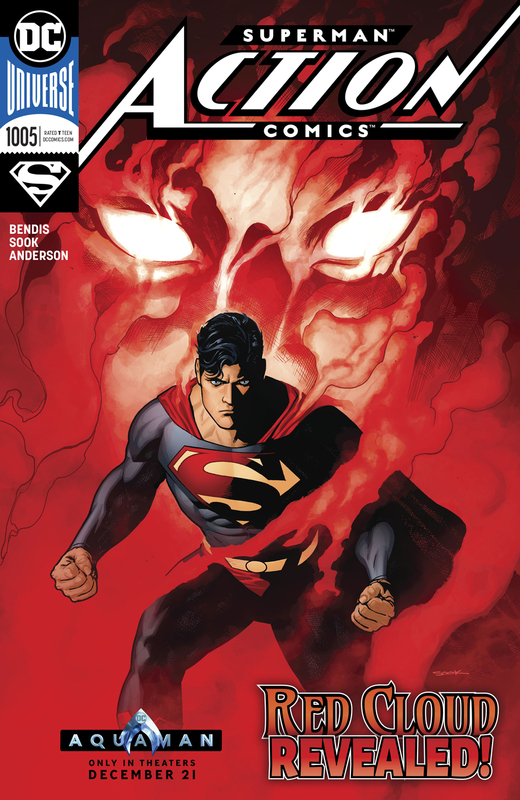 Clark Kent draws closer to revealing a secret crime family that has operated for years in Metropolis, but the family's enforcer-the mysterious Red Cloud-proves she's a match for even the Man of Steel with an attack that leaves Superman breathless. Don't miss the last-page shocker as we reveal the true face of the Red Cloud! Why It’s Cool: We’ve been loving Bendis’ run on Superman, which has been grandiose and cosmic in the pages of Superman and more grounded in Metropolis in this title. 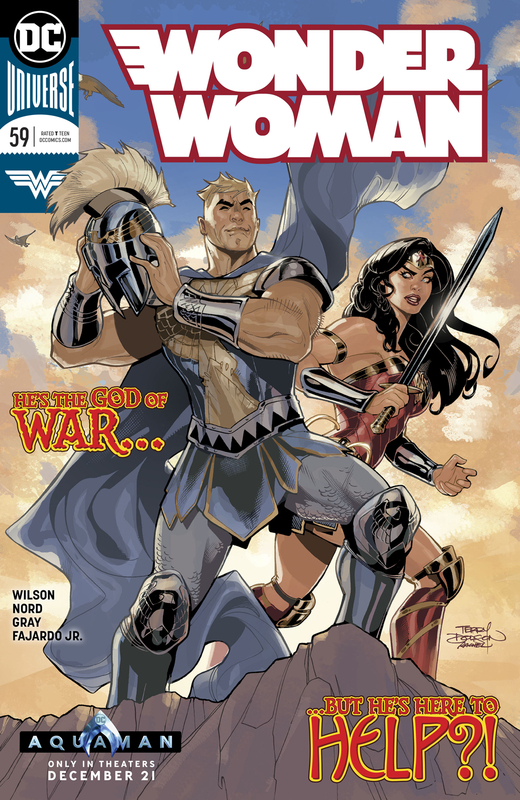 This issue also features Ryan Sook, one of our favorites, and so we are absolutely there for it, especially after what he did in Action Comics #1004. Why It’s Cool: Writers Zac Thompson and Lonnie Nadler have rapidly established themselves as two of the foremost purveyors of body horror in all of comics in the past 18 months, and although they’ve done great work all around, Come Into Me stands out as one of their best titles. This week’s issues sees the duo concluding this story. Dylan and her family have all fallen down the rabbit hole of madness together, aiming their campaign to save the world at a brand new target and collecting more bodies and hidden microchips along the way. But as Dylan is plagued with the flu and the family's first grand move leads them down a nightmare road full of the dreaded ReArrangers, the Sandifers will stare conspiracy right in the face and hope it blinks before they do. Why It’s Cool: This is a comic about a family plunging into shared madness together, which is a great (and surprisingly new) concept. It’s also being executed to perfection by rising writer Christopher Sebela and veteran artist Shawn McManus. 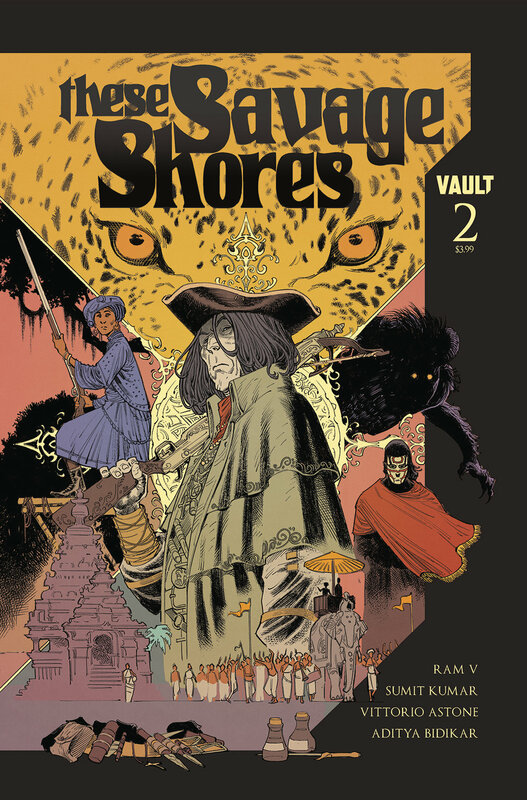 Why It’s Cool: After one hell of a debut issue with These Savage Shores #1, we’ve been dying to continue this story for over a month now. Finally, the second issue is set to arrive. This is a story that deals in heady themes and sinister tones. 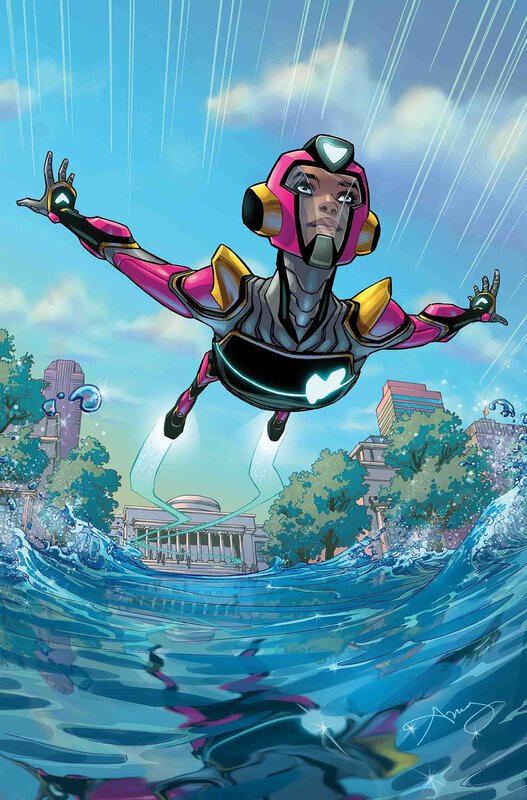 After an expert bit of misdirection in the first issue, we can’t wait to see where this one takes us next.